Try Continuous Ink System with your Brother MFC 3340CN and make 30 times more quality prints for the same money! Pay only 0.04 USD for A-4 full color print! ciss brother mfc-3340cn for business вЂ“ is a good opportunity to provide people with additional printing services. Professional color copying, instant color printing from digital media, professional photo printing, printing of large posters and other promotional materials вЂ“ all of these services are extremely cost-effective when are used with the system of constant ink supply. 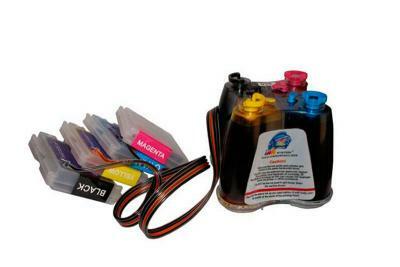 Continuous ink supply in office вЂ“ creates huge savings also when printing ordinary copies and documents. The cost per page when using CISS is now lower than the average cost per page when using a laser printer. When using the ciss mfc-3340cn high color stability has been achieved in most cases, because at least there is no urgent need to remove the cartridge from the printer to refill ink or to reset the chip, thus creating the possibility of air presence in the print head or ink leakage. Having installed the system and refilled it with ink only once, the user should only add ink to the donor containers in time. This ink system is ideal for large volumes of color, qualitative and fairly inexpensive inkjet photo printing, as well as printing of texts. It can be used together with almost all models of inkjet printers which have a built-in print head, because the endurance of the print head of such type is practically unlimited. These conditions correspond to many models of inkjet printers from Brother, with similar appropriate models of CISS вЂ“ ciss for brother mfc-210c and ciss for brother mfc-5460cn. The task of constant supply of ink cis brother mfc-3340cn is to provide constant supply of ink mass to the print head of the inkjet device, according to its decrease in the cartridge vessels. In contrast to the standard cartridge, in which the ink is often limited by its physical capacity (app. 15 ml. ), вЂ“ in the ciss ink system brother mfc-3340cn the outer ink tanks are provided logically, initially of a much larger volume than the original cartridges. This allows you to increase the volume of printing greatly as well as to get a real opportunity to use cheaper alternative inks, which are sold in bottles of larger volumes and are cheaper than the original supplies.